This area of the Pacific is home to the expansive islands of Micronesia. A hotbed of activity during World War II, these islands are home to some of the world’s most famous wreck dives. The soft corals and marine life covering these wrecks are amazing. 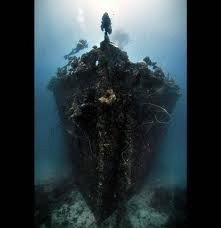 Truk Lagoon tops the list with more than 100 wrecks from “Operation Hailstorm” including the 500-foot Shikoku Maru and the 437 foot Fujidawa Maru. 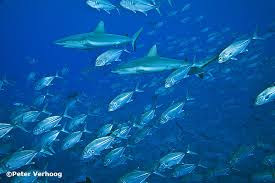 In addition to the WWII wrecks and reef diving, the Palau archipelago hosts incredible reefs and pelagic action! Included is an excursion to the famous Jellyfish Lake, where we will swim or snorkel among many of these non-stinging creatures! Yap provides one of the best opportunities to experience the Micronesian culture, as well as diving with its population of beautiful resident manta rays! Yap also offers incredible reef, pass and cavern dives. ** 7 Nights accommodations dbl occ (2 single cabins avail. )- Odyssey Live Aboard! ** All Live Aboard Amenities! 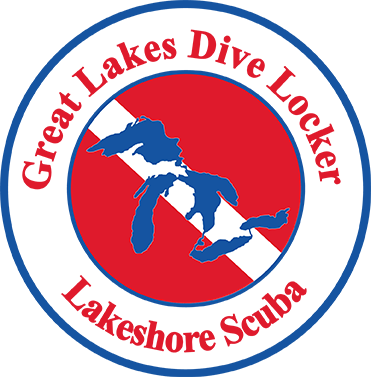 ** 5% tax and $30 Truk Dive permit included! Cost Information: $500 non-refundable deposits due for Palau and/or Truk. $100 for Yap. Air pricing from Grand Rapids, MI (approximate) is $2500 for Palau Only; $3100 for Palau and Truk; and $3500 for Palau, Truk and Yap. Miles may be used. Booking air from any departure city, just ask for pricing. Trip cancellation insurance suggested. Taxes/Fuel Surcharge are subject to change. Please Call Heather Bloom, Group Leader/Travel Specialist at Dive and Travel Adventures at 231-855-1353 or email her at hbscuba@gmail.com for more information and your deposit today! (8 spaces Sold on the Truk Odyssey – Only 8 spaces left!) Remember use Promo Code: GLDL-0609!